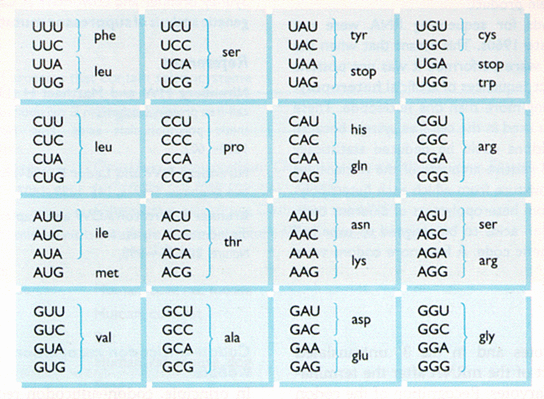 This diagram maps three-letter nucleotide sequences to the amino acid that they encode. For instance, the sequence of letters acg in a genome creates the amino acid threonine. A genome is made up of all the letters (e.g. 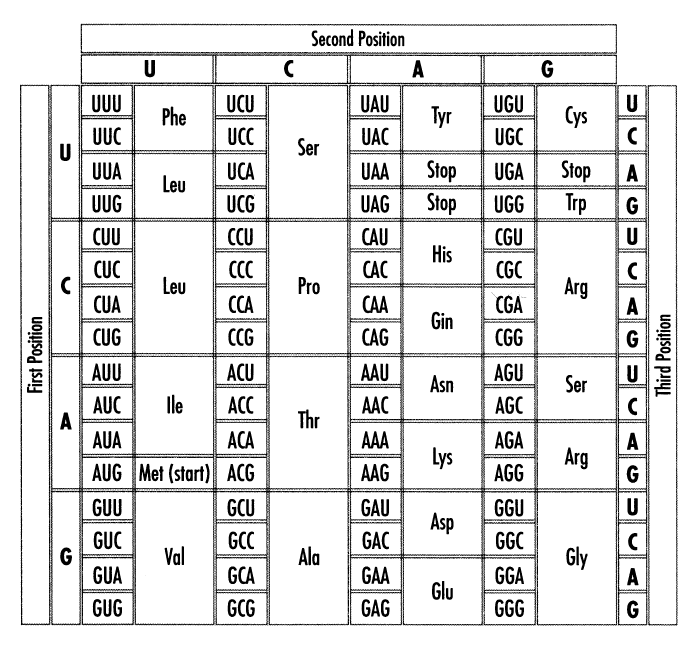 acagatac) that are read from a sequence of DNA. 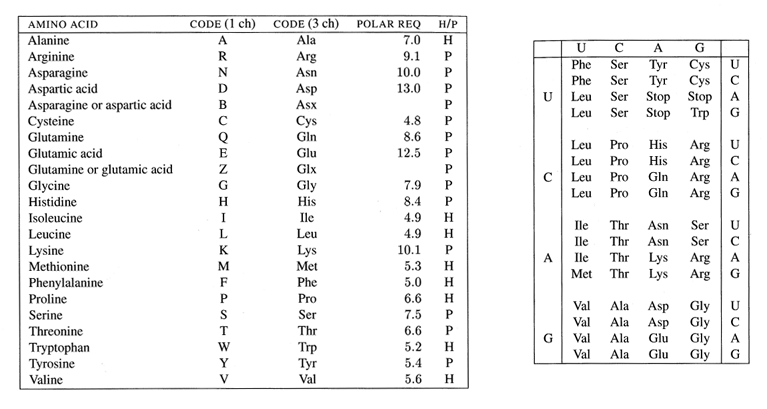 The letters determine sequences that can become amino acids. Each set of three letters becomes one of twenty amino acids. This is known as the genetic code. For a more thorough description, see the glossary of genetic terms (includes a useful diagram of a chromosome) or the primer on molecular genetics. This diagram uses a 'T' by default, which refers to Thymine, because most people are familiar with the idea of the genome being associated with the letters, A, C, G, and T. However, it's actually a 'U' for Uracil in this particular context. Pressing 'U' instead of 'T' will switch the letters for better accuracy. The images above are a redesign of the diagrams typically found in most genetics and biology textbooks that are often difficult to read or fail to expose the interesting patterns and relationships in the three letter codes. For instance, the third letter often has less significance (known as a two or four-fold degenerate). By simplifying the diagram and removing unnecessary visual elements, it also requires less space than any of the examples below, even while achieving better readability.